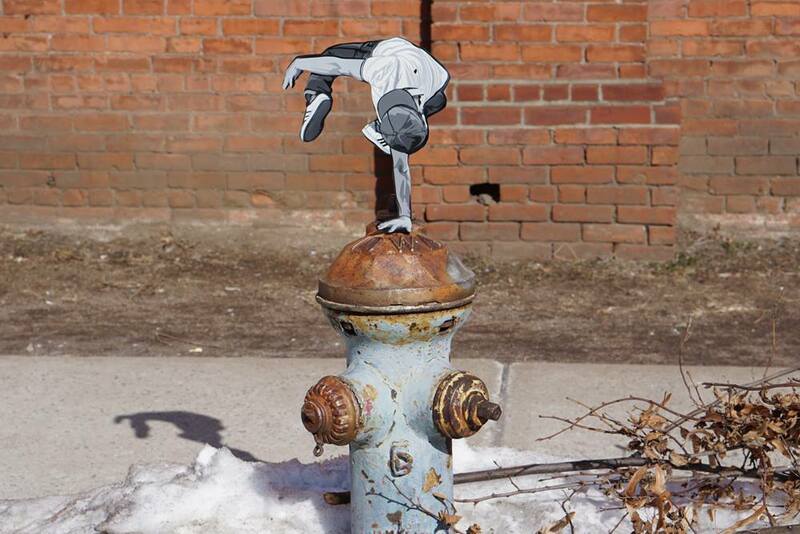 If you ever find yourself walking down the streets of New Jersey, watch out for the extremely small guy parkouring over a fire hydrant, as New Jersey-based artist Joe Iurato keeps leaving his site-specific works all over the city! 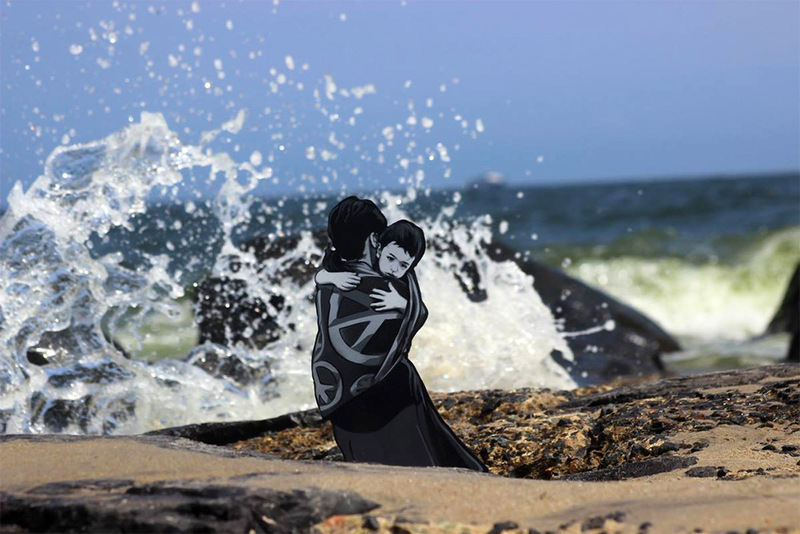 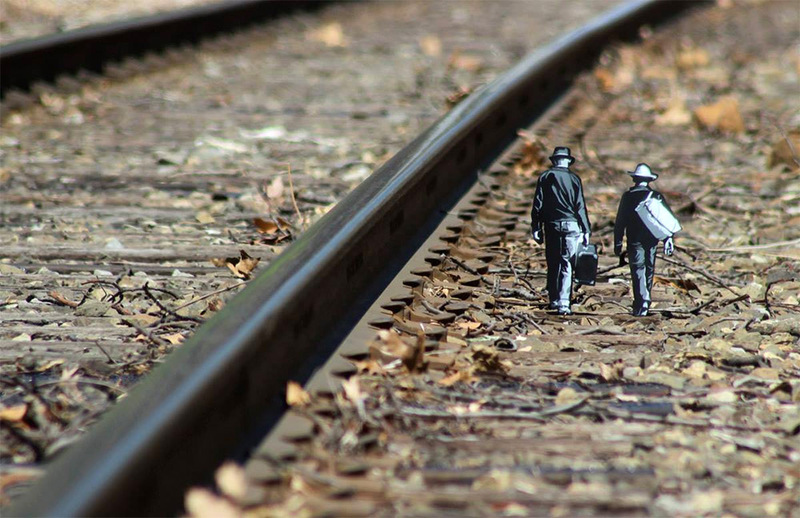 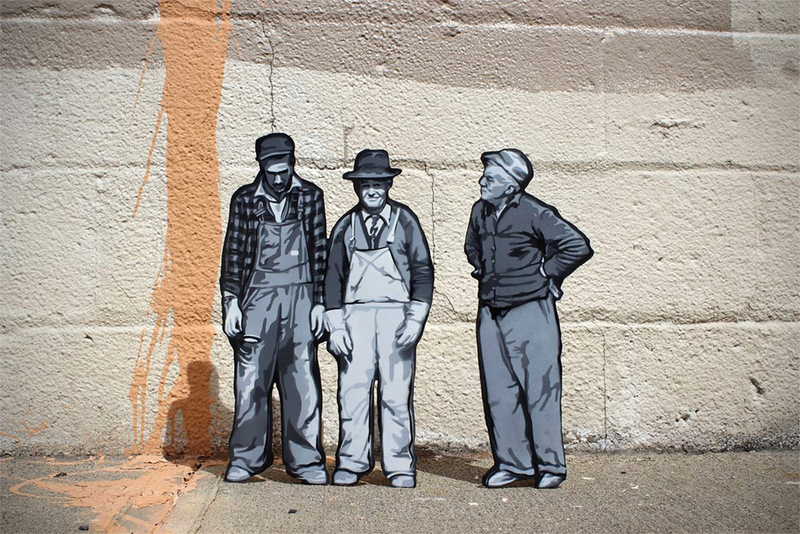 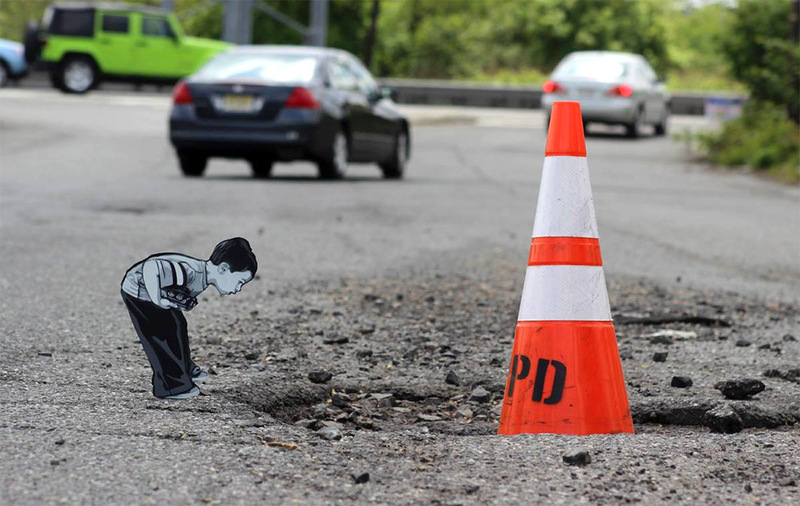 The street artist creates little wooden cutouts, often based on photographs, and puts them in locations around his hometown. 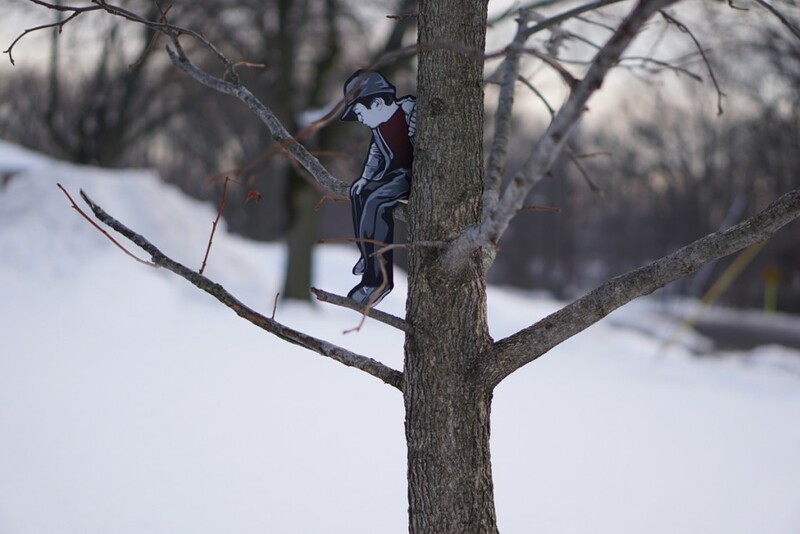 The little figures, who always look like they’re in their natural environment, are all inspired by various stages of Iurato’s life, from skateboarding to breakdancing and rock climbing to the experiences of fatherhood. 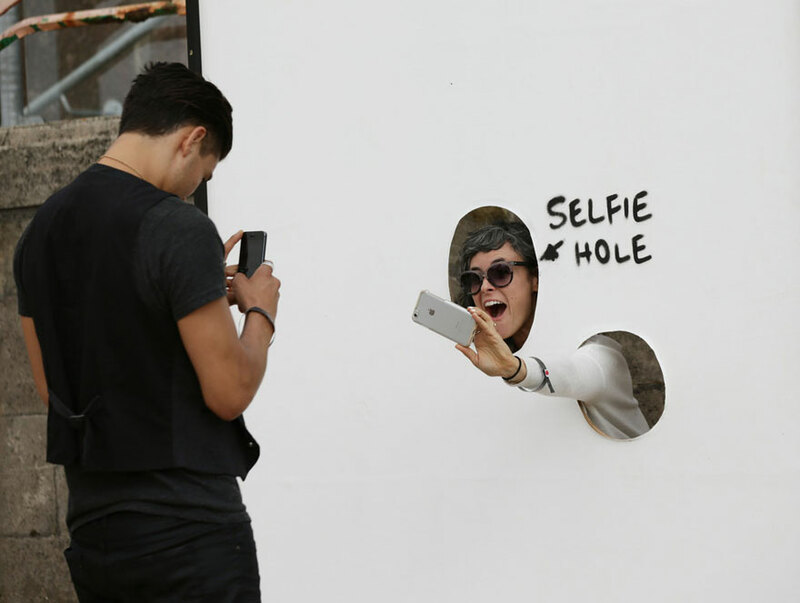 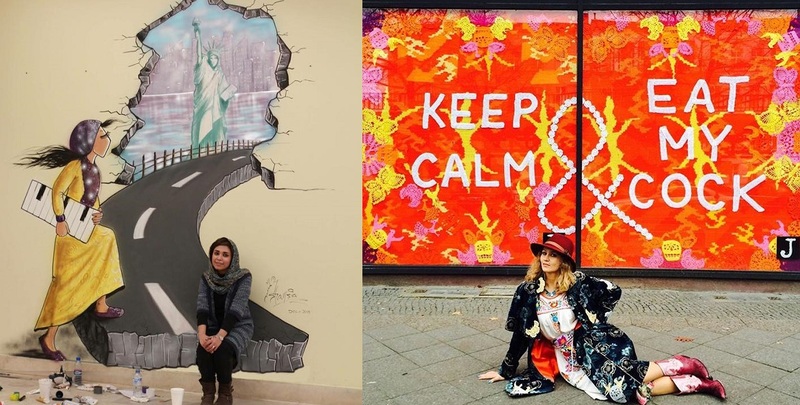 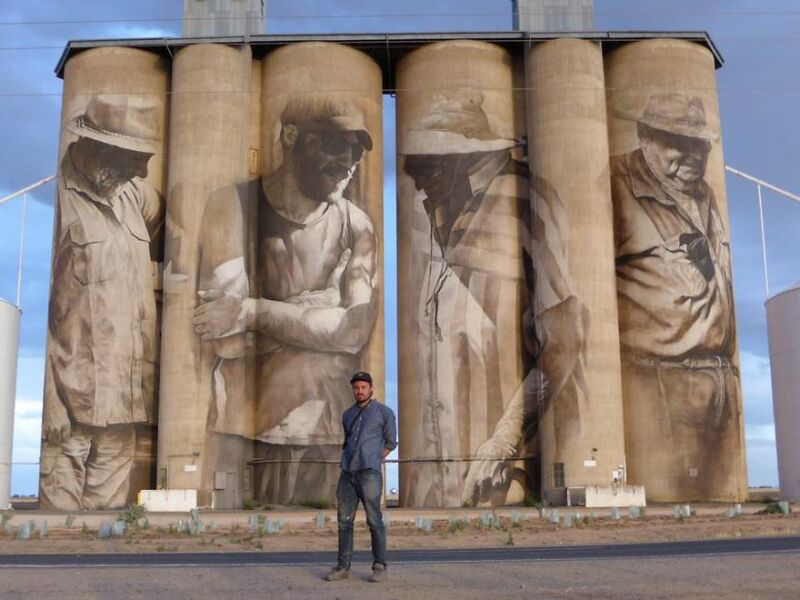 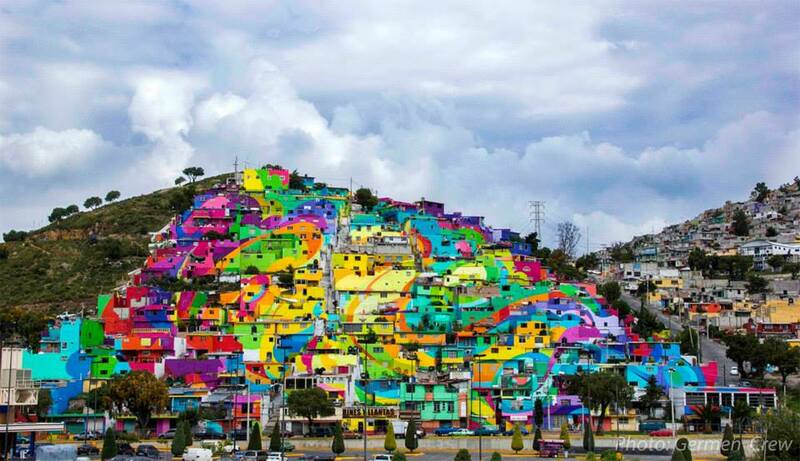 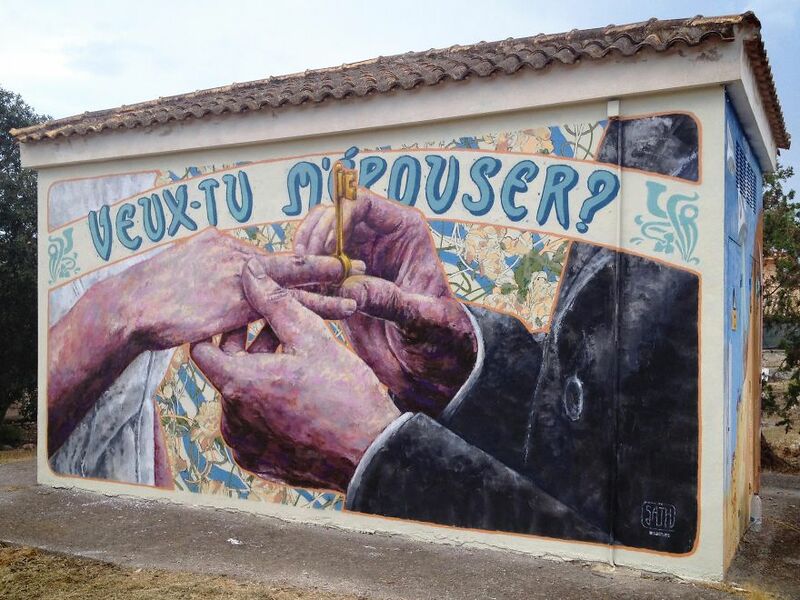 Apart from his personal connection to the pieces though, the artist believes that it is important for the public to discover and connect to the works on their own. 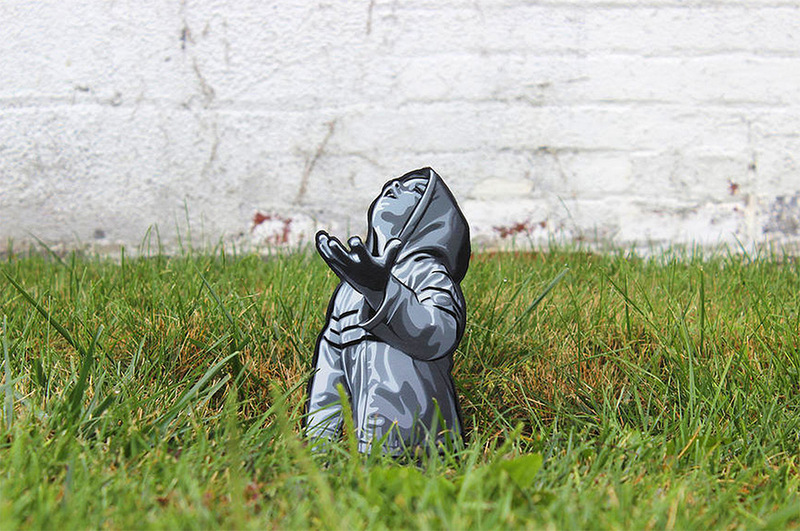 That’s why you’ll find his wooden figures set loose in public places, silently interacting with the world we all live in.